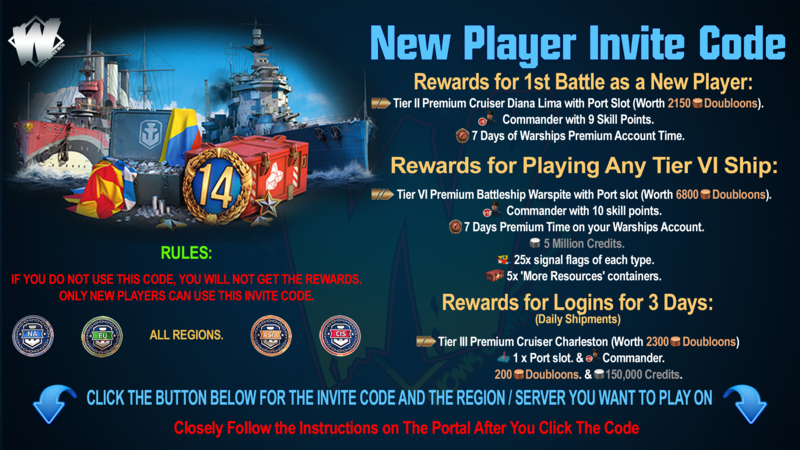 As Update 0.7.4 draws near, let's take a closer look at what you get once it goes live. 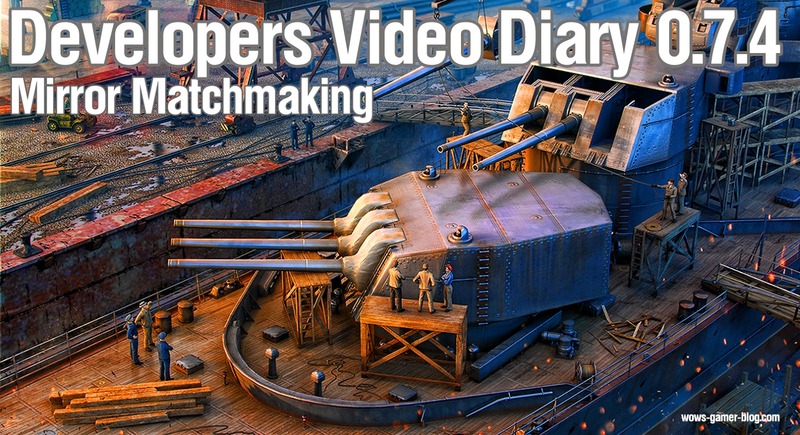 The new episode of Developer Diaries will tell you how we worked on Ranked Battles Season 9 and what it took to recreate Port Kronstadt. We also go into the changes we made to the system for the prevention of and punishment for unsportsmanlike conduct and unfair play, as well as how we tweaked the matchmaker. Enjoy the video, and check out the extra info on the changes to the matchmaker below. This issue is of paramount importance to us so we'll zero in on it a bit more. The matchmaker is an algorithm that picks players from the queue and divides them up into teams. The primary task of the matchmaker is to ensure the maximum possible quality of matching teams for a battle within the shortest possible period of time. In the majority of cases, the matchmaker does it well. However, there are situations when teams DO have equal chances to win but have lineups that differ slightly by ship types and tiers, which could sometimes cause discomfort among players. 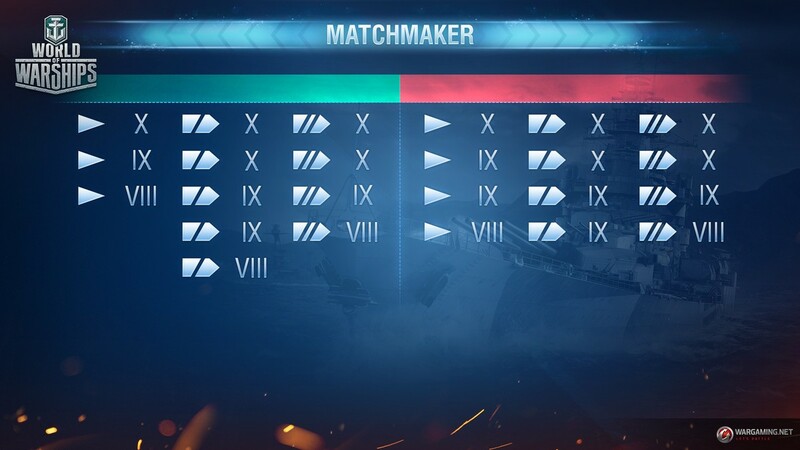 The main change to the matchmaker to be introduced when Update 0.7.4 hits the live servers will affect the way the matchmaker works during the first three minutes of time spent in the queue for a battle. Now, when the first player is queued for a battle, for three minutes the matchmaker will try to strictly mirror team lineups by ship types and tiers. This way the system will operate most efficiently when a sufficient number of players are queued for a battle. If the matchmaker fails to assemble a battle during the three minutes that the first player in the queue spends waiting to enter a battle, it will revert to its previous, pre-Update 0.7.4 operation mode because at that moment sending queued players into battle as soon as possible is more important than trying to achieve mirrored team lineups. This scenario is more likely to happen late at night and during early morning hours when server population is relatively low. First of all, matchmaking depends on the number of available players. Even "understaffed" teams (11v11, 10v10, etc.) may sometimes be matched into battle. The number of maximum-tier ships in teams is always strictly symmetrical. If in a Tier X battle one team has two Tier X battleships, three cruisers and one destroyer, this lineup will be strictly mirrored on the opposing team. The same rule applies to battleships that are one tier lower than the tier of the battle. If one of the teams has one Tier IX battleship in a Tier X battle, the other team will have only one such battleship, too. Aircraft carriers are distributed among teams strictly symmetrically. The matchmaker tries to ensure the equal distribution of ships by types on both teams but sometimes a minor deviation from this rule is possible depending on the type of ships. For instance, one team may have one destroyer or battleship, or up to two cruisers more than the other. Moreover, the matchmaker takes into account the nation that every ship belongs to but a nation-based distribution of ships between teams is done irrespective of their tiers. The matchmaker tries to make national representation on opposing teams as equal as possible. In doing so, it tries to place ships on teams by their tier, type and nation evenly but not strictly symmetrically. If the system always adhered to strict lineup symmetry, the time players would spend in the queue for a battle might exceed five minutes, and the teams would be sent into battle understaffed. One of the teams may have two Tier X battleships X Yamato, one IX Iowa and one VIII Bismarck. The opposing team will strictly have two Tier X and one Tier IX battleships (e.g., two battleships— X Montana and IX Izumo ) but will not necessarily have a Tier VIII battleship. This example demonstrates that both teams have Japanese and U.S. ships. The place of the fourth battleship may be filled with, for example, a German cruiser VIII Admiral Hipper or VIII Z-23. We'd like, once again, to draw your attention to the fact that with the release of Update 0.7.4, the above-mentioned basic principles will only come into effect if the first player queued for battle spends more than three minutes in the queue. 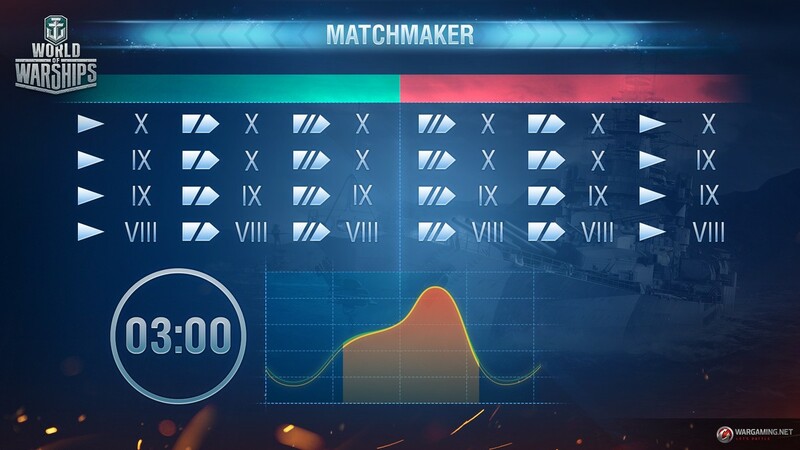 The enhanced matchmaker will make naval battles more comfortable for most players, reducing distractions and the need to assess team lineups. 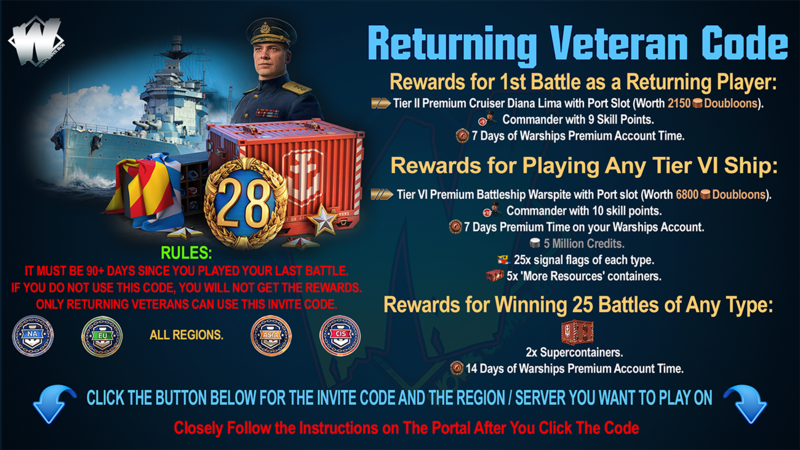 Join the journey into the dangerous waters of World of Warships!